East of the main pool next to Change of Pace. 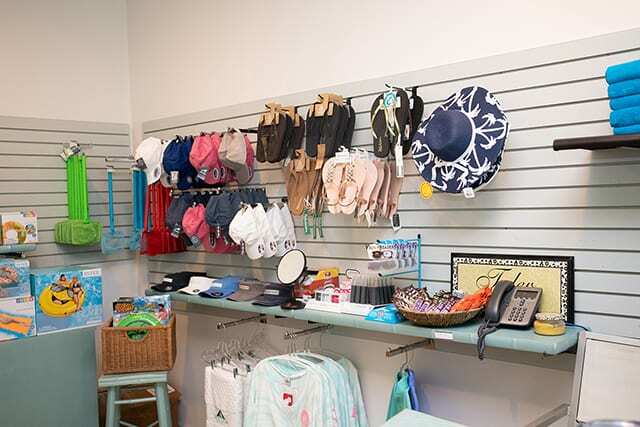 Cabana 8 is a chic, beach boutique opened seasonally. 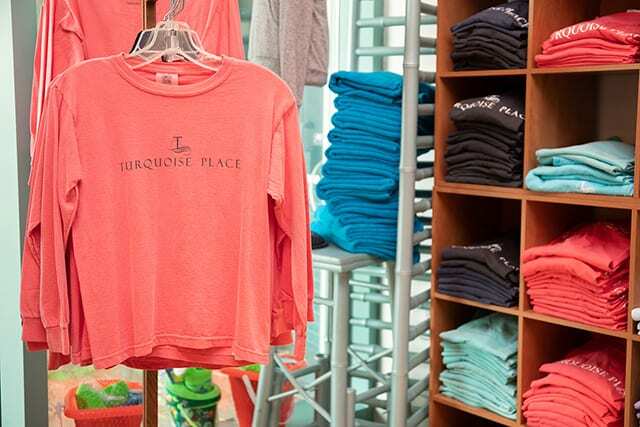 Your insider for all Turquoise Place logo merchandise, including T-shirts and hats. Purchase souvenirs to take home for your friends and family. Forgot your swimsuit or sunscreen? 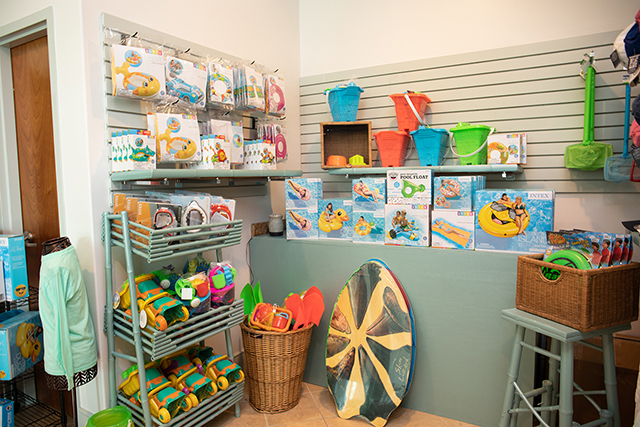 No worries, Cabana 8 has a large selection of fashionable beach attire, jewelry, gift items, and a variety of sundries. Spectrum Guests get 10% off purchases. Charge it to Your Room. Shop using only your Spectrum Resorts wristband. Shop here for high fashion and casual resort wear for the entire family. 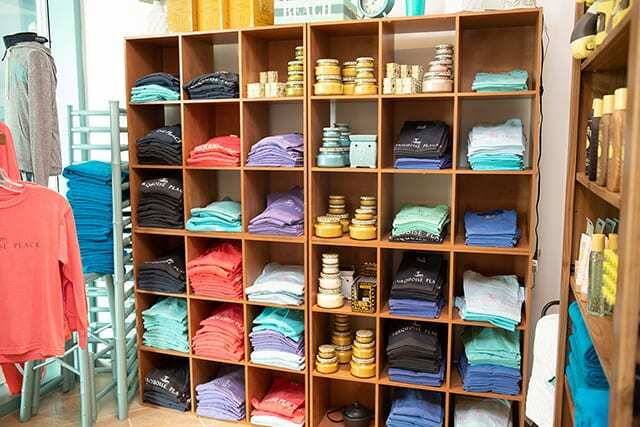 No trip to Turquoise Place is complete without a stop in our beachside boutique. 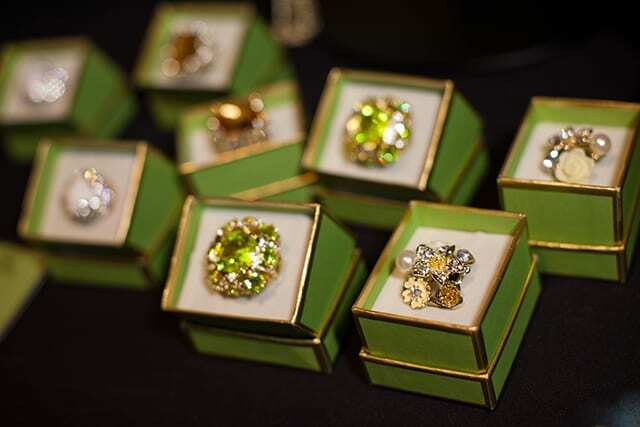 Step into the shop and you’ll be greeted by the latest trends, accessories and a smile.